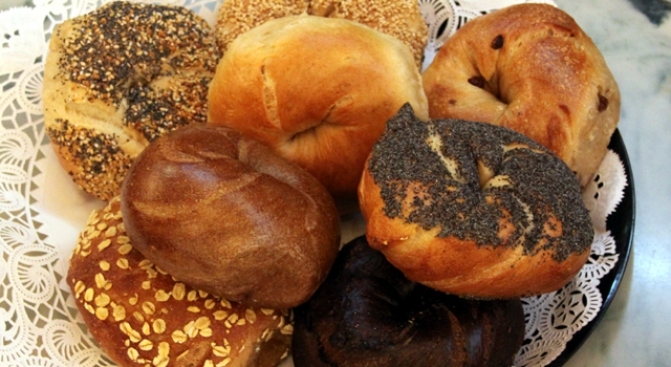 If a plain bagle isn't your bag, Ess-a-Bagel offers an array of seasoned varieties. 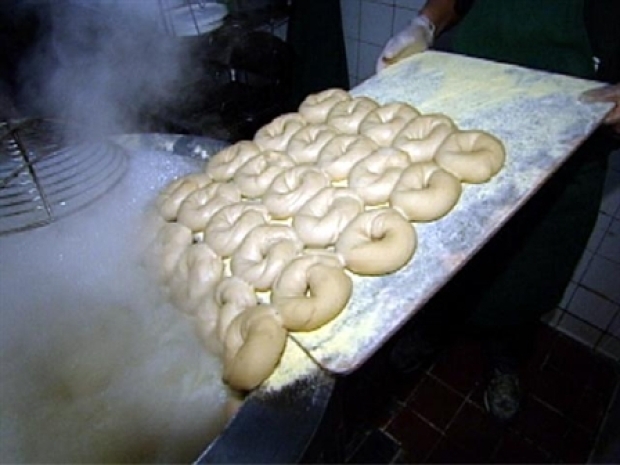 For more than three decades, Ess-a-Bagel has been serving some of the city’s most coveted bagels – crusty on the outside, soft on the inside, and just plain enormous in size. Ess-a-Bagel, Inc., was established in 1976 on 21st Street and 1st Avenue by Gene and Florence Wilpon and her brother Aaron Wenzelberg. They opened a sizable second space in Midtown several years later. The Ess-A-Bagel roots started in an Austrian baking family. The secret is in the hand-rolling, and also the water, flour and the expertise of the bakers. Another secret is how the restaurant got its name. Maybe it's more of a trivia question than a secret, but Florence Wilpon insists there wasn't a whole lot of creativity behind it. "Ess-a-Bagel means 'Eat a bagel' in Yiddish and in German," she said. "My husband doesn't speak either language, but he just said it out loud one day and it stuck." The latest Golden Local debate kicked off on Wednesday. This time around we're asking about your favorite bagels. Do you prefer Murray's Bagels or Ess-a-Bagel? A full spread of schmears – from tofu olive to lox to old-fashioned plain cream cheese – can help you customize your nosh any way you want. Essa employees say you can't miss the lox or whitefish spreads or the full array of hand-made cakes, pastries, cookies and muffins. Those other items are nice and all, but it's the bagels that keep their customers coming back, and it's the bagels that are the reason for Ess-a-Bagel's inclusion in the current Golden Local debate. Have you voted yet?